When you think of the average horror filmmaker certain things come to mind—the nerdy eccentricity, the black T-shirt fashion motif. So it follows that certain other things don’t come to mind—ex-lawyer, yoga practitioner, Investigation Discovery television producer, for example. However, Vancouver, British Columbia’s Karen Lam isn’t your average horror filmmaker. 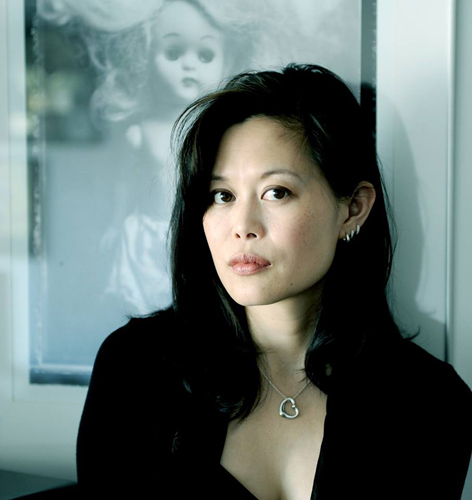 While she’s already made an indelible mark on the horror genre with her short films that include The Cabinet (2007) and Doll Parts (2011) as well as her first feature Stained (2010), Lam is also an advocate for women filmmakers, horror filmmakers in particular. But most importantly, Lam is making the types of unforgettable fright flicks we’ll being writing about twenty years from now. Lam’s latest horror feature, Evangeline makes its world premiere in Stockholm, Sweden on September, 28th 2013 at The Monsters of Film Fest. Ravenous Monster caught up with Lam earlier this year, shortly after Evangeline wrapped, to discuss the much-anticipated movie as well as the woman responsible for it. Horror Fans, I give you the indomitable Karen Lam…. RavMon: You’ve recently described your forthcoming feature, Evangeline, as a supernatural female revenge fantasy. You’ve already reeled me in! Would you please be so kind as to indulge us a little more? What else does Evangeline have in store for Horror Fans? Karen Lam: Evangeline has elements of Asian horror, but with a distinctly North American feel and setting. I’ve always considered it as much an action film as it is horror: there’s a lot of fighting/action sequences, which was really challenging because I hadn’t directed anything like it before, but I really wanted the revenge fantasy to have real kick…literally. RavMon: What was your inspiration for Evangeline? KL: I’m inspired by a lot of Asian films growing up: my dad was a huge kung fu fan, and he also loved Charles Bronson movies, so the revenge thriller was something that’s been lurking in my subconscious since I was a kid. The film is also really inspired by the political underpinnings in British Columbia, where I live (and where we filmed Evangeline). We’ve had serial killers go uncaught for years. For example, in two square blocks of our city, 65 women went missing over two decades and it was a huge debacle for the government. There’s also a Highway of Tears in the northern part of our province where 18 young women have gone missing since the ‘70s. There’s still no resolution to that. I put a lot of these themes into the film, but it’s all under the surface. Actually, it’s all in the dark forest, where a lot of the story takes place. RavMon: Tell us about your cast? KL: Apart from David Lewis (who starred in my short film Doll Parts, which partially inspired Evangeline), we auditioned for all of the parts. I really wanted Richard Harmon (Bates Motel, Grave Encounters 2) to play the villain, but I think that was kismet. I first saw him on a flight to Los Angeles when my editor Jeanne Slater and I were en route to the Viscera Film Festival to premiere Doll Parts. I had just written the first draft of Evangeline and I thought, “There’s my villain. I wonder if he’s even an actor.” I ended up sitting across the aisle and he pulls out a blue script. Aha! Luckily, Richard actually came out to our auditions, and I was thrilled he actually accepted our offer. Kat de Lieva (Halo 4) plays Evangeline, and she came in and did this lovely audition. I thought she had a bit of an accent, and it turns out she’s originally from Bulgaria, and speaks four languages. I loved how she has this really warm presence on camera, but then I saw on her resume that she had gun and military training. The role is really physical, and I wanted a vulnerable-seeming character (not an amazon), and it was important that she could throw herself into the role without worrying about her make-up. Kat looks like a fragile doll, but man, that girl is tough. What really nailed it for me was when I called her back in to read with Richard, and she got him to sing the Sponge Bob Squarepants theme song, and she had this evil little grin the whole time. That pretty well clinched it. Our cast was amazing, all round. Being on set was just fun – they threw themselves into all the action scenes, and it just felt like playing. Well, almost, since I think everyone ended up with battle scars. Mayumi Yoshida, Natalie Grace, Nelson Leis, John Shaw, Madison Smith, Dejan Loyola, and our intrepid stuntwoman Rikki Gagne. RavMon: Does Evangeline share any specific thematic territory with any of your previous films? KL: I definitely go back to certain themes again and again: I like exploring the monsters within us, and violence between the genders. I’m really interested in exploring female violence, and what drives us to our most extreme. Visually, there are images that recur again and again: the broken doll, the empty room, the highway and the dark forest. That said, I want my next film to be set somewhere warmer. 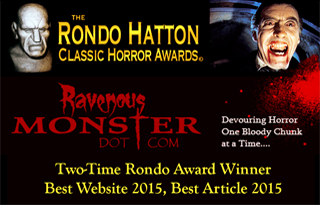 RavMon: You’re an outspoken supporter of gender equality in filmmaking and of Women in Horror Month in particular. Please share with us what it means to work as a woman within the context of filmmaking. In which ways does your gender inform your work, aside from the obvious? KL: Being a female filmmaker shapes everything I do and everything I make: I don’t think I can help that. The characters I’m drawn to, how the story unfolds, and what details interest me are probably all affected by my gender. I don’t see how it wouldn’t, given that this is the lens through which I view the world. Knowing this, Women in Horror Month is incredibly important because, if women aren’t shaping their own stories or being encouraged to be active participants in popular media, the lens becomes really distorted. It’s not about just surviving the horror, as a Final Girl. I want us to be able to cause the horror. RavMon: Your past work has explored gender issues in some really interesting ways. Is the horror genre your vehicle of choice? Do other genres of storytelling provide as fertile a ground to explore these issues? KL: Horror, action and fantasy is really all I want to do. There’s no hidden rom-com in me, dying to get out. I love being in the extremes of storytelling: I want to be able to create worlds, and I don’t think drama would give me the same latitude. Plus, I probably have some kind of blood lust. Don’t quote me on that, though. RavMon: Which were the stories and who were the filmmakers and writers that compelled the young Karen Lam to pursue storytelling? KL: Grimms fairy tales, especially the darker ones like Bluebeard and the downright depressing Hans Christian Anderson. I really came at horror from a literary place, Edgar Allen Poe, Daphne du Maurier, Bram Stoker, and Mary Shelley. It’s funny that in literature, there’s such a balance of gender in storytelling, and I grew up not differentiating between a male or female author, the way that it’s really differentiated in film. I think the first film was Jaws (thanks, Dad), but my still favorite filmmakers are Stanley Kubrick, early Roman Polanski (I really have to work hard to separate the man from director), Michael Haneke, Guillermo del Toro and Peter Jackson. I love Asian horror and thrillers, and probably my favorite horror is Takeshi Miike’s Audition. I also love the Vengeance films of Chan Park-Wook and anything that got released by Tartan Asian Extreme videos. 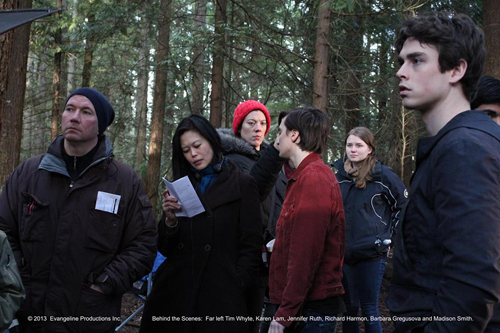 Karen Lam and crew on set. RavMon: It was Jaws that ruined me too. Whose work excites you now? RavMon: You started and wrapped Evangeline in February. How was this production experience compared to past experiences? KL: It was a fantastic experience – I absolutely love my cast and crew on Evangeline, and it was really amazing to shoot in my home province. We have an incredible talent pool, and it just made everything go so smoothly. I also owe a huge debt of gratitude to my DP Michael Balfry who created magic every day, and my producer Karen Wong, who’s been working with me for the last 12 years. My core team – editor Jeanne Slater, composer Patric Caird, art director Athena Wong – has been literally on my films for almost 7 years now, so it’s like having a shorthand. We’ve learned a ton, and we keep learning. RavMon: Is there a release date yet? KL: Hopefully, we’ll have it ready for the film festivals this summer, but we’re aiming for early 2014. RavMon: Looking beyond Evangeline, what’s next? KL: I have two other feature films that need rewriting, a television series, and my phone seems to be ringing, which is a good sign. Of course, at this point, I’m thinking I’ll be in a dark edit suite with my editor for the next three months.